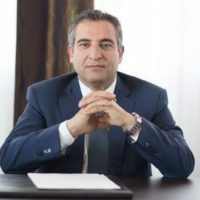 Since 2011, Chairman and Chief Executive Officer of the Moroccan Agency for Tourism Development (SMIT), M. Imad BARRAKAD greatly contributed in the development of the national tourism sector. In fact, M. BARRAKAD worked effectively in the implementation of tourism projects within the National Strategic Vision 2020, which aims to make of the Kingdom among the top 20 destinations worldwide. Various projects were launched in order to diversify the final product that the Kingdom offers as the city of leisure and culture of Rabat and Casablanca, the Leisure City of Tamaouanza (Agadir), the Resort Desert Dakhla, Morocco's Cultural Theme Park in Marrakech etc…. It is to note that SMIT has also strengthened its support role of investment in the sector by restructuring Beach resorts in Morocco. Also, upon his arrival to SMIT, M. BARRAKAD strengthened the promotion actions of the company through an active participation to international events dedicated to the promotion of tourism investment in order to boost and maintain the investment attractiveness of the destination Morocco for tourism investment. Prior to joining SMIT, M. BARRAKAD was the head of Sales and Marketing at the Moroccan National Office of Electricity, an experience which equipped him with a good field knowledge. M. BARRAKAD has a global experience in project management and financial planning. In the past few years, he had also extensive interest and involvement in social marketing as well as project development. M. BARRAKAD is an industrial engineer and has a Master degree in Project Management.